Dr Jengo's World: Assassin's Creed Movie Collectibles Announced! So, if you thought you could save some money this year since there isn't going to be an Assassin's Creed game.. you were wrong my friends.. Dead Wrong! Kernel, a website in the U.S is selling movie packages including tickets and collectibles for the Assassin's Creed movie coming out later this year.. and boy are they expensive!! This 15th Century crossbow is an exact 1:1 scale replica of the weapon featured in the upcoming movie and used in a pivotal scene. 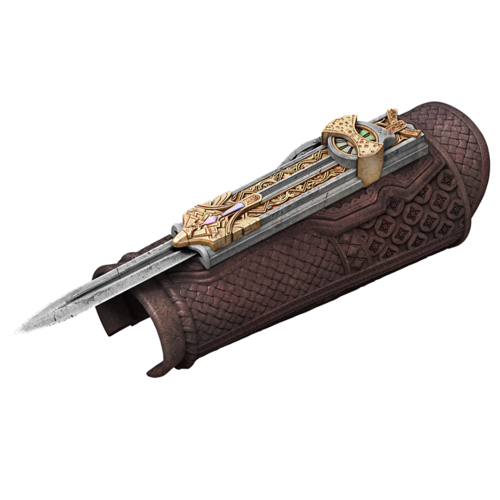 Created by famed Hollywood weapons master Tim Wildgoose, the crossbow is 18” long and features scenes from Medieval Spain as well as motifs from Assassin's Creed lore. Handcrafted, numbered and limited to an edition size of twenty, this piece is a worthy centerpiece of any Assassin's Creed or movie prop collection. Comes with a signed letter of authenticity. Available exclusively on Kernel. 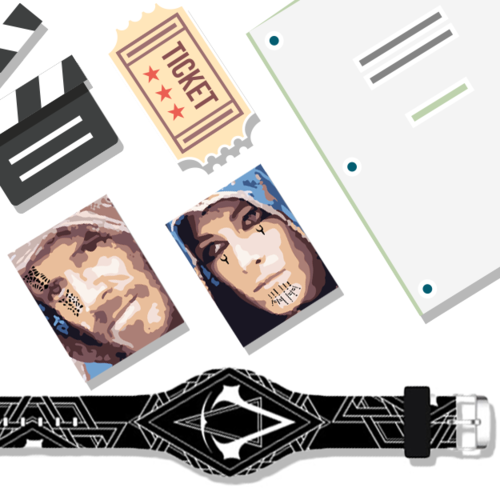 This package also includes a ticket to see Assassin’s Creed in theaters, a digital copy of the script, and behind-the-scenes extras. Sure Shot Studios proudly presents the officially licensed Assassin’s Creed: Aguilar Premiere Scale Statue. Masterfully sculpted and painted by the artisans at Sure Shot Studios, the end result is the most authentic portrayal of the Assassin on the market. 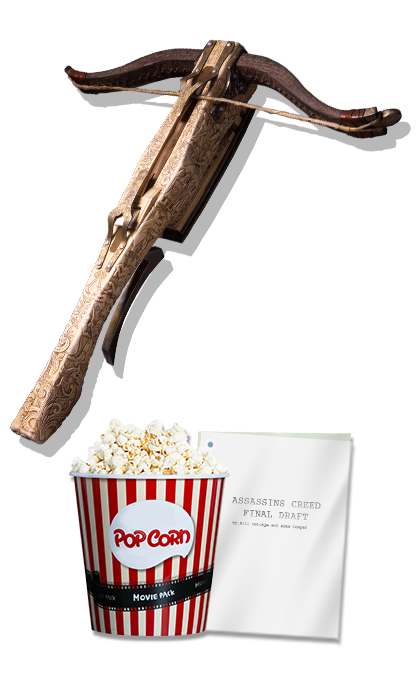 You also get a ticket to see Assassin’s Creed in theaters, a digital copy of the script, and behind-the-scenes extras. Ubi Workshop’s fan-favorite Assassin's Creed-inspired hoodies are about to reach yet another level of sophistication with this interpretation of the Callum Lynch hoodie seen in the upcoming movie. The original costume was created by famed BAFTA nominated costume designer Sammy Sheldon Differ and worn by Michael Fassbender in his starring role. 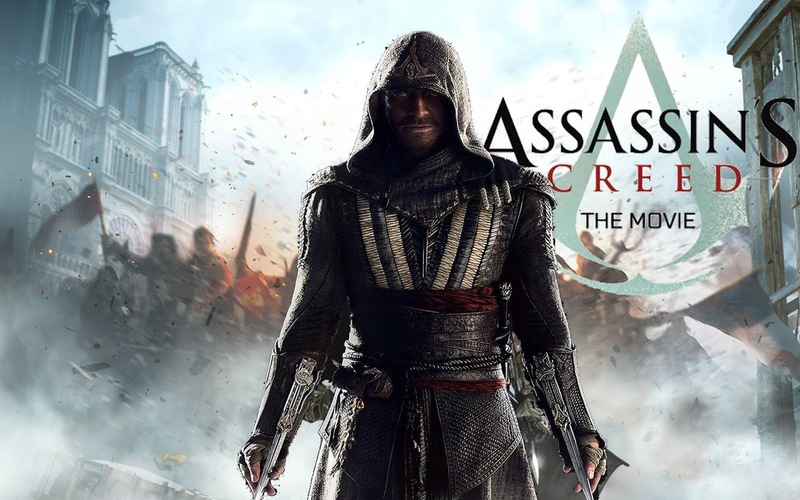 You also get a ticket to see Assassin’s Creed in theaters, a digital copy of the script, and behind-the-scenes extras. Assassin’s Creed fans can bring the movie to life with McFarlane’s new screen-accurate Hidden Blade role-play item, offered as an exclusive first look only on Kernel. Used by Aguilar, the 15th Century Assassin played by Michael Fassbender, the blade is highly detailed, intricately sculpted and true to the original design including a button-activated play-action and extending hidden blade. This package also includes a ticket to see Assassin’s Creed in theaters, a digital copy of the script, and behind-the-scenes extras. 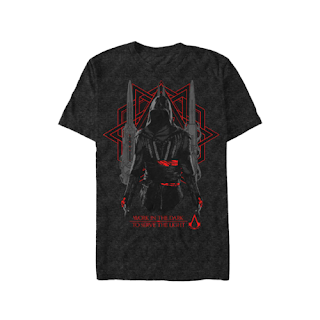 Live the creed in this exclusive Assassin’s Creed movie T-shirt with the iconic words “Work in the dark to serve the light.” T-shirt is made of a poly/rayon blend and features a round neck and relaxed fit. This package also includes a ticket to see Assassin’s Creed in theaters, a digital copy of the script, and behind-the-scenes extras. Woah! That's some major spending collectors have to do for some of these collectibles and there's going to be lots more revealed in the coming months. Unfortunately, Kernel is shipping only to US and Canadian customers only. While I'm confident some of these collectibles will be made available internationally, I'm not too sure about 1 or 2 items. Assassin's Creed collectors usually claim that Europe gets all the good stuff and N.A generally gets the 'lousier' collectibles but here's one-up for the N.A fans!